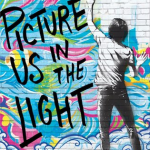 Four high school friends are excited to hear that the author of their favorite book is coming to a local bookstore, and are even more thrilled when they are invited into the author’s world. Fatimo Ro asks the teens to be part of her new philosophy of being honest and open while she is writing a new book, allowing them to hang out at her house as they share their deepest secrets with her. 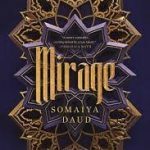 But Fatima has secrets that she isn’t sharing, and when her new book reveals all that the teens have told her, the betrayal has ruinous consequences for all of them. Peñaflor unfolds the story gradually, through interviews, journal entries, a magazine article, and chapters from Fatima’s new book. Through these different media we watch as the teens are slowly drawn into Fatima’s web, as she builds trust, encourages them to share their authentic selves, and manipulates their relationships with each other. A sense of foreboding hangs over the story: something terrible has happened, but what? The suspense builds to a shattering conclusion that asks the reader to consider whether absolution is possible for anyone who has committed an evil deed, and also demands a second reading of the book. 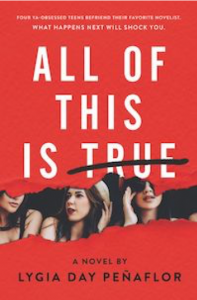 Share this title with fans of We Were Liars or One of Us is Lying. Lula Mortiz is a teenage bruja (and don’t call her a witch!) still recovering from the damaging effects of her sister’s powers. When a bus crash changes her world forever, Lula uses her strength as a bruja to harness the power of dangerous and unpredictable magic in order to change the outcome. Little does Lula realize, though, that actions have consequences and the consequences of playing with dangerous forces are more catastrophic than she could have ever imagined. 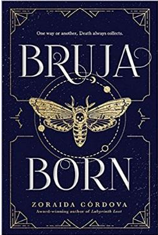 Bruja Born is an action-packed, heart-pounding, lushly beautiful sequel to Labyrinth Lost. 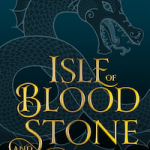 Córdova’s characters, whether bruja, witch-hunter or mortal are so realistic you expect them to step off the page, and the world-building is artfully crafted. 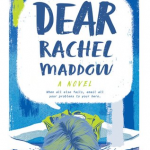 Cleverly crafted around the mishaps of the Brooklyn-born Mortiz sisters, the plot never stops moving as the unintended consequences of Lula’s actions wreak havoc on her and her loved ones. Teen readers will relate to questioning how far someone is willing to go to save the ones they love. Those who enjoy shows like Charmed and Buffy the Vampire Slayer will not want to miss this tale. Also recommended for fans of Daniel Jose Older’s Shadowshaper, Nnedi Okorafor’s Akata Witch, and Julie Dao’s Forest of a Thousand Lanterns. Jo Chastain is attempting her biggest con yet- impersonating Vivi Weir, who vanished 9 years ago. Jo is welcomed with open arms into the Lovecraft household, the family of Vivi’s best friend Temple, and the last person to see Vivi before she disappeared- but the Lovecrafts have secrets of their own. Jo’s first-person narrative, scarily self-aware and addressed to an intimate “you” (Vivi’s old best friend, Temple) makes for a fast-paced and hard-to-put-down thriller. 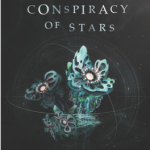 Jo’s calculated and self-centered attempts to take over Vivi’s life, and to ingratiate herself with the Lovecraft family, her new benefactors who are thrilled to have their daughter’s long-lost friend back, make for an uncomfortable and fascinating read. Jo’s immediate acceptance into Temple’s family and home seem too good to be true, and the reader is never quite sure of Temple and her parents really think that Vivi has returned, or if they know Jo is an impostor. Savage successfully layers mystery upon mystery- what the Lovecrafts believe, what happened to Vivi, and what the Lovecraft’s motives are- and the final reveal of everyone’s true selves is shocking and satisfying in its . In Her Skin is a relatively short but extremely fast-paced thrilled that is a riveting look into the lives of terrifying people, and every character is someone to be both afraid for and afraid of. 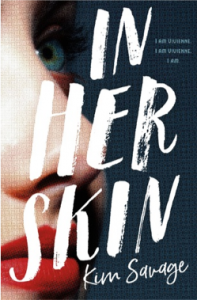 Recommend In Her Skin to fans of other psychological thrillers and mysteries such as Karen McManus’s One of Us is Lying, Kara Thomas’s The Cheerleaders, E. Lockhart’s We Were Liars, and shows such as Riverdale and Pretty Little Liars.